Through the guide and scout method, promise, scout laws and values we aim to ensure that each member acknowledges his/her responsibility for personal growth, solidarity towards the others, service and active commitment to the society. Most of the activities are carried out as group projects. 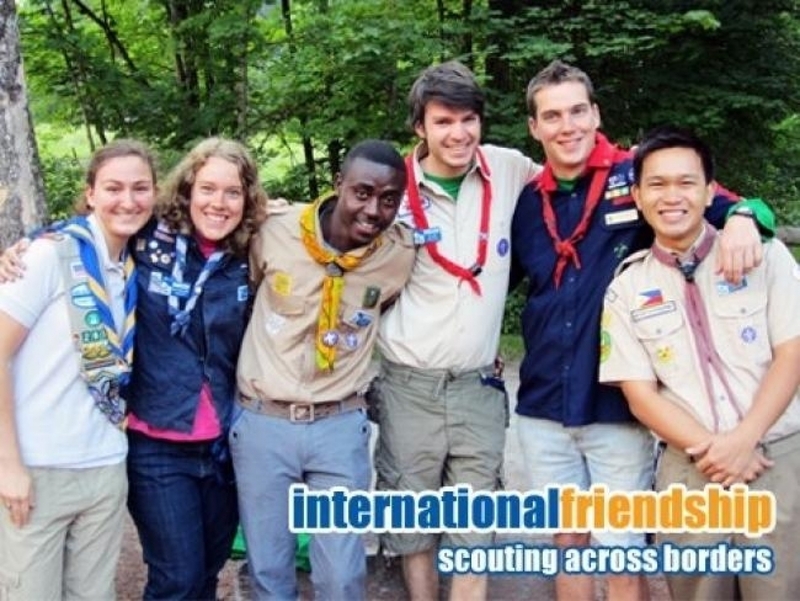 International dimension, spirituality, coeducation and life in nature are four concepts and practices that give additional content to the guide and scout method. 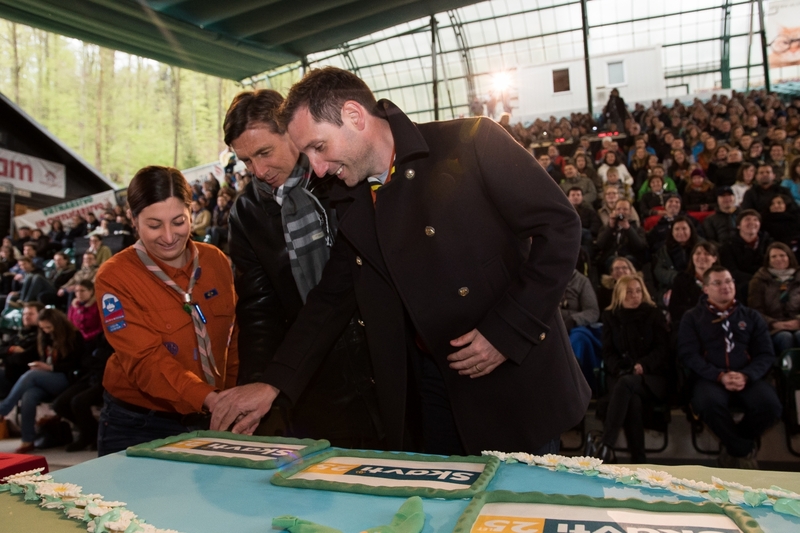 We are aware that millions of guides and scouts all over the world are our sisters and brothers and that we can build a better world, not as individuals, but only if joined together. Bi-Pi´s idea of world sisterhood and brotherhood has an important part in our educational process. We would like every member to experience an international dimension, which helps individuals in their personal growth, through the awareness of the differences among people and the issues of the world today. The spiritual dimension is based on the Catholic religion. We believe that spirituality strengthens and enriches the life of an individual that looks for sincerity in relationships, an inner life and solidarity. Spirituality gives a young person a sense of strength and direction and enables them to live a life of simplicity within every day’s complex and challenging world. 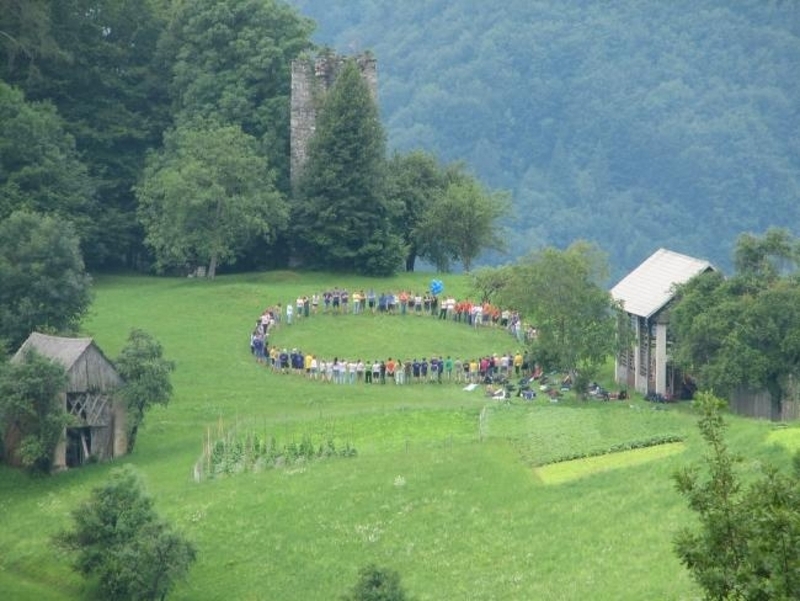 We include spirituality in our activities in a simple and approachable way. That is by simply living it. Young boys and girls nowadays live in a world that faces changes faster than our training and programme methods, educational policy papers and documents. Their needs and attitudes are quite different than before (1907 - establishment of scout movement) and our task is to adjust our working methods and educational programmes on a regular basis in order to be more applicable to the current reality of young boys’ and girls’ lifestyle. We strive to build the knowledge and practise on how to communicate and deal with children in an age-, gender- and context-appropriate manner. WAGGGS recognizes co-education as an educational method that develops partnership between girls and boys on an equal basis and ensures equal opportunities while recognizing differences. (WAGGGS policy, World board, March 1998). 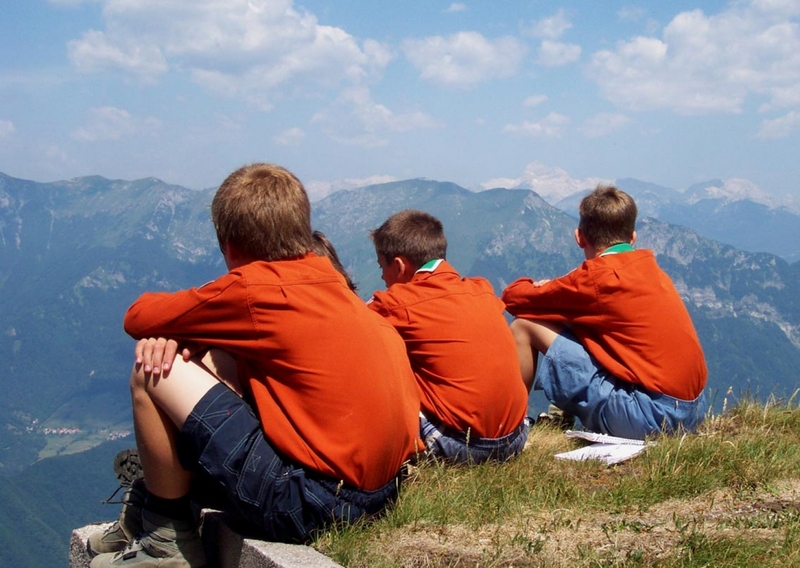 Slovenian scouts and guides are so-called SAGNO organization (s&g national organization) and one of the more active MO's on the topic of "co-education concept development". We face the world's sustainability problems with the attitude that we are here to leave the world a better place than the one we have received. Environmental education takes an important role in the organization. We want to build a responsible and critical individual, who is aware of the problems of the world, and who takes an active role in environmental issues.